Home America Online Freelance Platform Upwork Goes Public, Stock Overpriced? Online freelance platform Upwork is going public. It filed its S-1 for an initial public offering of 12.3 million shares at $12 to $14 per share on Monday, and opened today at over $20. Upwork has continuously grown, and in the year ending in June, its revenue was over $225 million, yet the company lost over $7M in the past 6 months. With the freelance workforce expected to continue its growth in the coming years, the company seems primed to take on its competitors, including social media giant LinkedIn. Upwork came to be after a merger between two freelance platforms, oDesk and Elance, in 2013. It connects businesses and other individuals with freelancers in a wide variety of fields, from programming and web developing to writing and marketing. Freelancers create profiles on the site where they can showcase their skills and experience. Clients can browse candidates’ profiles and see ratings and feedback from previous clients before making a hire. Candidates and clients can also share files, send messages and even video chat right on the platform to assist in the interview process. Clients can pay freelancers hourly or by milestone. Upwork offers a time tracker that measures the activity level of the freelancer during time tracking. It also periodically takes screenshots of the freelancer’s screen so the client can monitor the progress and ensure that the freelancer is actually working. In the year ending in June, the platform facilitated 2 million projects with freelancers for 475,000 clients. Upwork’s gross services value (GSV) was $1.56 billion. The company estimates that the total global GSV opportunity for its platform was $560 billion in 2017. This means there is significant room to grow for the company. In fact, freelancing is expected to continue to grow. According to a 2017 survey conducted by independent research firm Edelman Intelligence, the number of U.S. freelancers increased by 8.1 percent from 2014 to 2017, while the total U.S. workforce grew just 2.6 percent during the same time frame. About 36 percent of the U.S. workforce freelanced in 2017. The survey also found that over half of the U.S. population will be freelancing by 2027, if current trends continue. As for the rest of the world, according to a survey on freelancers conducted by financial services company Payoneer, 35.5 percent of freelancers are in Europe, 29.2 percent in Latin America and 28 percent in Asia. Freelancing is especially growing in developing countries. Payoneer CEO Scott Galit says that for workers in developing countries, “freelancing is a way to earn more income than what they could in their local market.” Since Upwork is a global platform that is available in 180 countries, it can make things easier for these workers. If freelancing continues to become more common, as predicted, Upwork seems well-positioned to take advantage of the increase. Andrew Opalko, a software developer from Plymouth, Michigan, says Upwork is more convenient and useful than LinkedIn for freelancing purposes. 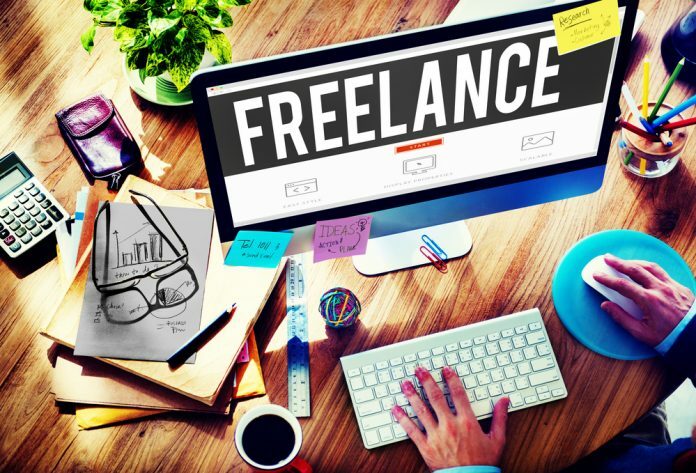 Another key difference between the two platforms is that Upwork connects freelancers directly to potential clients. Opalko says most of his LinkedIn communications are with recruiters trying to set him up with interviews for full-time jobs. Indeed, over 90 percent of recruiters say they use LinkedIn regularly. While LinkedIn is currently ahead of the field, there are signs that Upwork may be the wave of the future. While just 13 percent of Millennials use LinkedIn, 47 percent of U.S. Millennials freelance in some capacity. In addition, over half of the respondents to the Payoneer survey were under 30.